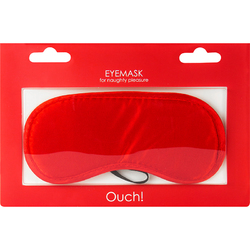 Use this eye mask as a nightshade for yourself or try it on your lover to create an exciting mysterious experience. Bring your lover in a enjoyable state of darkness that raises his or hers sexual lust. This soft polyester eye mask stays in place with a comfortable elastic fabric strap. Measures 5.75 in. by 8.78 in. by 0.2 in.